Publié le 8 juillet 2013. 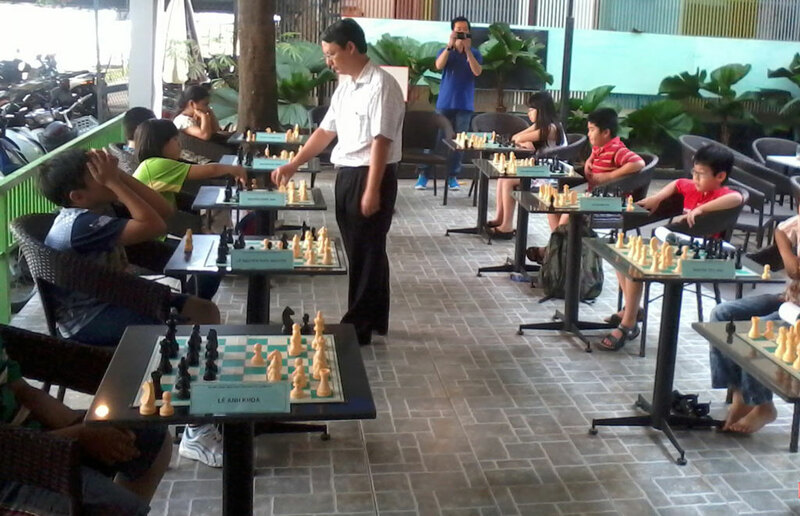 With the area about 200m2, This Club-House promisingly attracts many chess, xiangqi, baduk fans living around Tan Binh, Tan Phu, Phu Nhuan, Phu Lam. 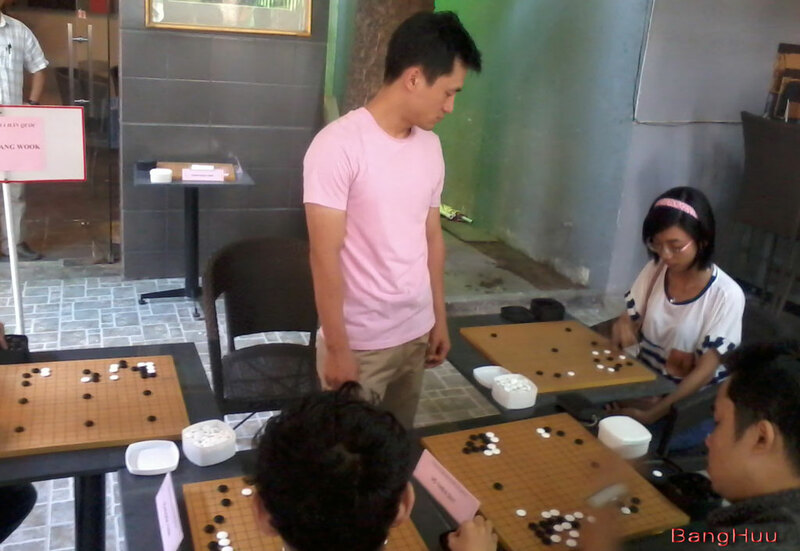 On this occasion, GM Dao Thien Hai, Korea Professor Lee Kwang Wook have come to make simultaneous games with fans. Also, the 2 good professional Xiangqi players Uong Duong Bac and Truong A Minh show their performance here. Baduk Professor Lee Kwang Wook perfectly deafeats 5 players. GM Dao Thien Hai wins 9 rounds and finishes in draw with Nguyen Tien Anh in the simultaneous 10 games.